DAMASCUS, April 15. /TASS/. Syrian President Bashar al-Assad has said at a meeting with Russia’s delegation in Damascus that $400 bln will be required to restore Syria’s economy, head of the delegation and coordinator of the group of Russia’s State Duma (lower house of parliament) overseeing ties with the Syrian parliament, Dmitry Sablin, told reporters. "An important issue is the restoration of infrastructure. That will cost no less than $400 bln and will take from 10 to 15 years," Sablin quotes Assad as saying. Assad also said he does not expect Western oil and gas companies to work in the country, Sablin, told reporters. "We are not waiting for Western companies here, especially in the oil and gas sphere. I spoke about that with [Russian] President [Vladimir] Putin in Sochi. We want Russian companies to work here, and we expect their fast market entry," Sablin quotes Assad as saying. Syrian President expressed the view that his country will continue its development taking no notice of Western actions, Sablin said. "Our cooperation must counter the aggressive policy pursued by the West. Syria will continue its development taking no notice of the West’s actions," the lawmaker quotes Assad as saying. 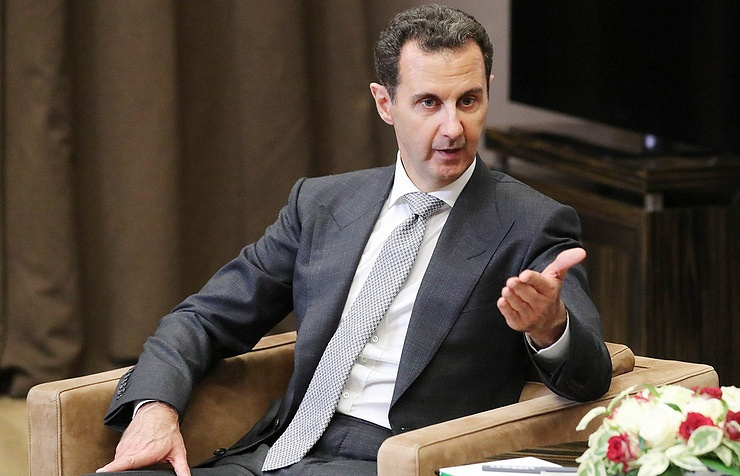 Assad has supported the signing of cooperation agreements between the Moscow Region and Damascus Governorate and between Tartus and Sevastopol, Sablin said. "We spoke about the possibility of establishing cooperation between various regions of Russia, in particular, between the Moscow Region and Damascus Governorate, Tartus and Sevastopol. Assad said it was important to take into account the regions’ special aspects and supported this format of cooperation," Sablin said.